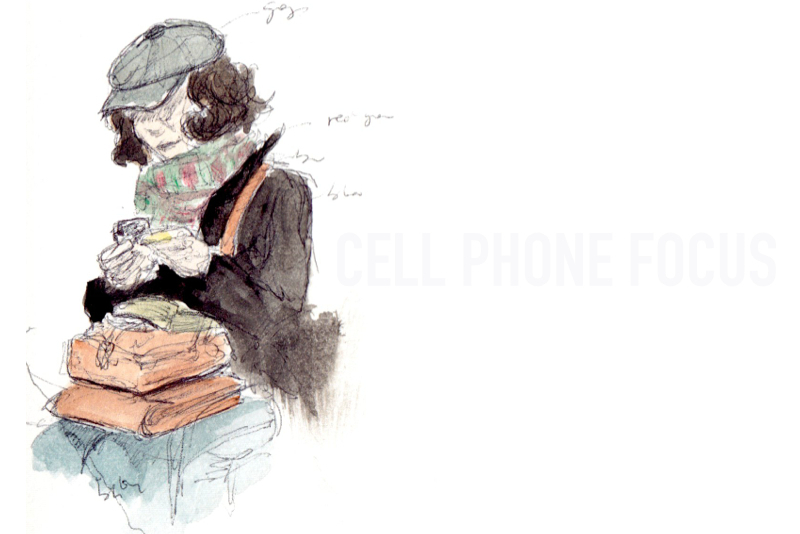 One of the way to ease your way into getting comfortable sketching people in the subway is to look for people on their cell. They typically barely move so you get a chance to draw more detail. This lady had a really neat look and stayed in the exact same position for several minute, looking at her phone. I had enough time to draw quite a bit of details and write down the colors so I can paint it later that day.